Tray is 56.5 x 36cm. The depth of each cell is 6.2cm and there are 379 cells to 1Sq.M. Each cell holds 100cc of substrate. These trays are ideal for the production of jumbo wildflower plugs and for stock items used for the coir log industry as the robust, yet manageable pugs can easily be pushed into predrilled holes. Crops such as Phragmites, Carex, Juncus and Phalaris, lend themselves to this regime with rapid growth occurring in the spring and summer. 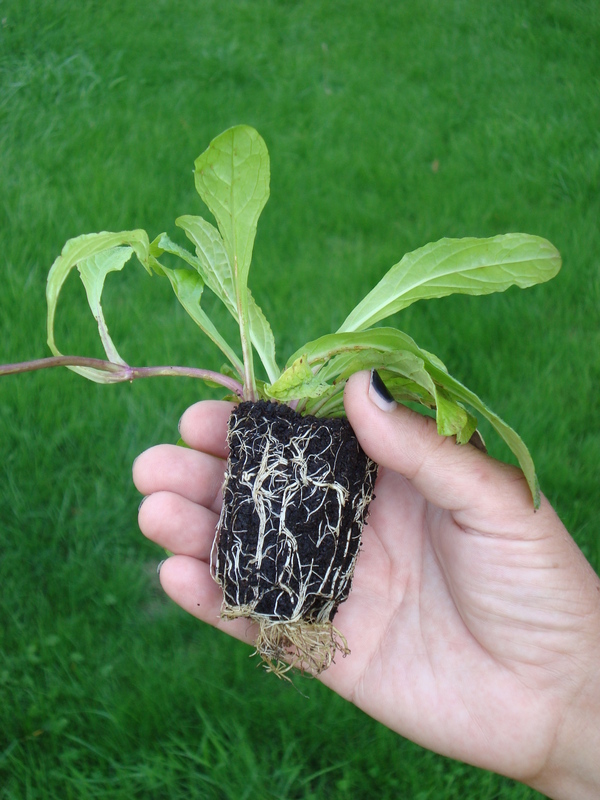 Jumbo plugs of any species can be ordered and there is an increasing demand for this size plant that establishes very quickly.